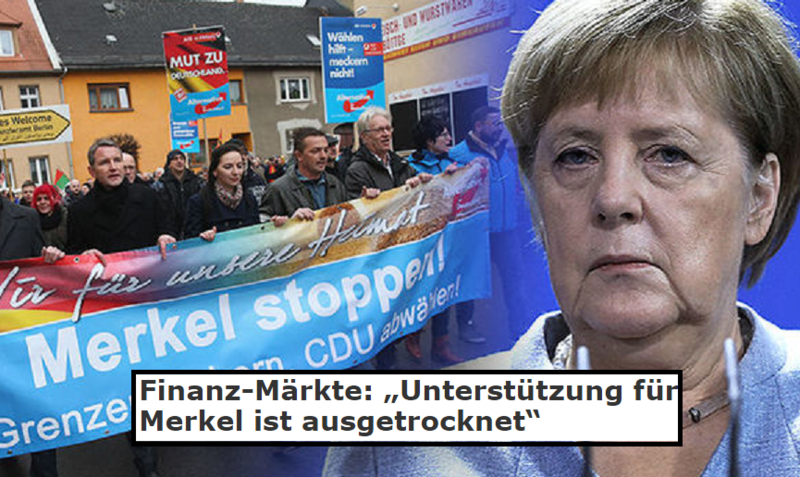 The German press is still reeling from the latest poll humiliation for Ms. Merkel’s party. If the Bavarian voters materialize on their intention this Sunday and send her CSU (the Christian party which is in alliance with her CDU) well below 50% for the first time (polls expect them to fall back to as little as 33%), it would be nothing short of a humiliation. The Southern state of Bavaria which has an economy bigger than Sweden is the ultimate German success story. Home to BMW, Siemens, and Allianz has had both the highest employment and lowest crime rate in Germany. However, the voters seem to be tiring of Ms. Merkel’s policies. Related coverage: <a href="http://thegoldwater.com/news/39008-Germany-Election-Merkel-s-Party-Blames-Poll-Low-On-Migrants-Voting-Against-Us"> Germany Election – Merkel’s Party Blames Poll Low On ‘Migrants Voting Against Us’</a>. German voters look like they are fed up with all the big mainstream parties in fact. Both the CDU of Ms. Merkel and the left-of-center Social Democrats (SPD) are losing support as voters can be seen fleeing either to the extreme left (the Greens) or the rightwing Alternative for Germany (AfD). Although the CSU tried to change the Merkel-led government in Berlin to change course on immigration, it is exactly this failure that voters now resent them for.